Q. I run a six pack charter. Do I need to be enrolled, what about my first mate? Q. I am tested at work, do I need to be in a program? Q. What if I am away when selected? Q. I spend the winters in Florida, what then? A. No problem, we have an network of labs all over the country. We will find an acceptable site for you. Q. Is alcohol part of the screen? Q. I am in a program now, can I transfer to Sea Test, Inc? A. Yes, just provide us with evidence of your current enrollment and you will not be required to submit a pre-employment screen. Q. How do I get notified if I am selected for a random draw? A.. Your choice, e-mail, text, or by phone. Q. I run a “T boat, what about my wait staff and band? 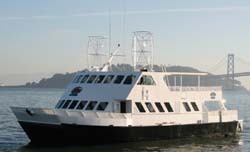 A Wait staff, entertainers are generally exempt, provided they are not involved in the safe operation of the vessel, such as assisting passengers on board. Q. Can I be selected more than once in a calendar year? Q. How do I join Sea Test? Pay the required fee on our website. We then enter you in the pool and mail you your required papers.